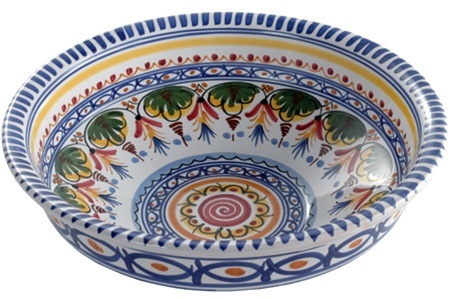 This 11.50" hand painted majolica bowl has a multitude of everyday uses. Use it as a decorative piece on a shelf or wall. Easy to hang, ridges of bowl are pierced for easy wiring. Lead-free and dishwasher safe.